Successful long term retirement investing is often as simple as focusing on what we can control. This sounds easy, but all too often we become distracted by things outside of our control. We are bombarded with information and most of it is just noise. We would be well served to learn how to turn down this noise or tune it out completely. 1. Investing time horizon: We can control how long we plan to invest. Will the investment plan be 10, 20, or 30 years? The power of compounding is huge and the earlier you start the better. This can also help identify how much risk is appropriate to take in an effort to achieve your goal. If you’re investing funds for the short term like 1 to 3 years, you should steer clear of the stock market and stick with CDs or savings accounts. Investing in the stock market with a short term time horizon is setting yourself up for disappointment. If you have a long term investment horizon, it really doesn’t matter what the market does today, tomorrow, or next week. If you see a headline that says the Dow dropped 200 points, ignore it. What the stock market does today, next month, or next year doesn’t determine what the market will do over 5, 10, or 20 years. Don’t forget that retirement investing involves accounts that are subject to special tax rules. Consider IRAs for example. You can take withdrawals from your IRA at any time. But there is catch. Assuming all of the contributions you made were tax deductible, the withdrawals would be taxable as ordinary income. If you are under age 59 ½ you would likely be subject to an early withdrawal penalty from the IRS. When added together, the taxes and penalties can take a huge bite out of your IRA. So be sure you don’t put funds in a retirement account that you might need in the short term. 2. Frequency of contributions: We determine how often we will invest. Does the investment plan involve making one contribution per year, or will a contribution be made with every pay check? Making one contribution per year is not likely to yield the best results. The same goes for an exercise routine. The more regular the exercise, the better the results. To be clear, this doesn’t mean you should should invest daily like exercise. Systematic contributions on a monthly or semi-monthly schedule would be fine. You are also more likely to flake-out on making contribution if you’re doing it annually. Waiting for a tax refund or bonus to invest is risky. What if you don’t get that bonus or refund? Whether you choose to contribute each paycheck or annually, the key is to be consistent. The process of making regular contributions is commonly known as “dollar cost averaging.” This is where you invest a fixed dollar amount at regular intervals. By following this strategy, you’re making regular investments regardless of whether the market is going up or down. 3. Size of contributions: We decide how much we’re willing to devote toward savings. These choices can be hard, but at the end of the day we have to prioritize. Will buying a more expensive car cut into the savings budget? 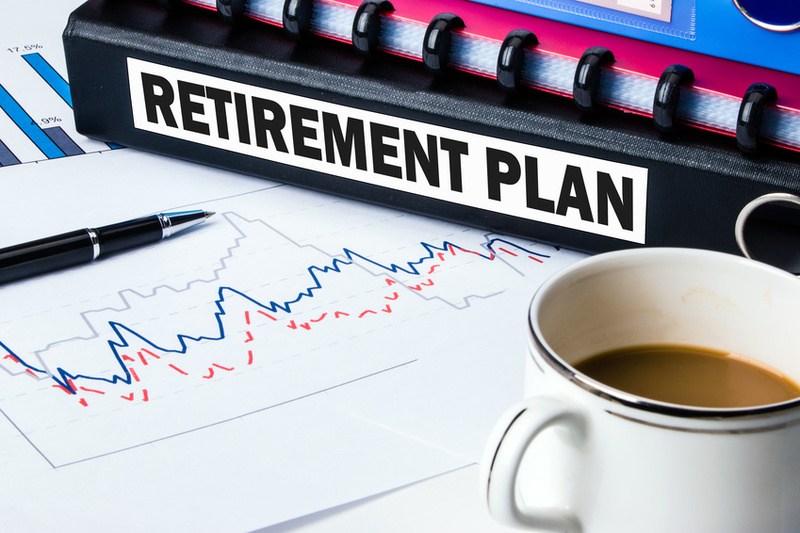 Or, should you go with a less expensive model to keep your retirement plan on track. Don’t underestimate the power of small changes to your budget. 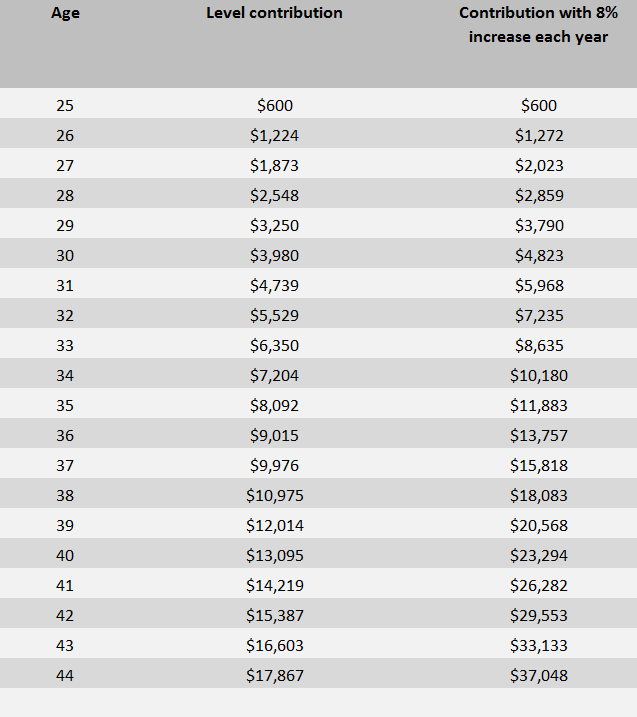 If you can cut out $12.50 per week that adds up to $50 per month or $600 per year! Actively increasing your contributions over time can make a big difference too. Remember, $50 per month in 2017 will likely have less purchasing power than $50 per month in 2027. Making small increases in your contributions will help keep the negative effects of inflation at bay. The more you can contribute the better but don’t buy into the misconception that you can’t invest enough to make a difference. If you can start investing $50 per month and achieve an average 4% annual return, after 20 years you would have $17,867. Now consider increasing that $50 per month by 8% each year. Can you guess what happens to the $17,867? It doubles! We can’t control what the Federal Reserve will do with interest rates. We can’t control what policy decisions are made by lawmakers. We can’t control whether a company beats their earnings estimates. We can’t control the occurrence or outcome of military conflicts. We can’t control whether our preferred presidential candidate makes it into office. Last but not least, we can’t control what the stock market will do. When you focus on what you can control, it makes it easier to tune out the noisy distractions. The next time you’re watching a news story about the crisis de jour, ask yourself what effect this could have on your portfolio in ten years. Most likely the answer is little to none. I’m not suggesting that burying your head in the sand is part of a successful investing strategy. Be aware of the things you CAN’T control, but don’t focus on them. Stick to your plan and don’t make changes when the market hits a milestone. Make changes when you hit milestones. Your personal financial situation is far more critical to your investment decisions that what is going on in the stock market. To be fair, many of the things that distract from a long term investing plan are absolutely critical for traders and speculators to focus on. Successful long term retirement investing is very different from short term trading and speculation. When it comes to a retirement investing plan, focus on what you can control and be aware of what you can’t. Doing so will give you something to hold onto when the news is bad and markets are down. Do you have questions about retirement investing?